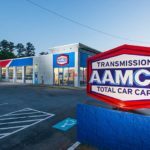 Iconic transmission franchise AAMCO recently announced it has selected AutoPoint, a Solera company, to help strengthen its customer lifetime value and loyalty system-wide through its leading customer relationship management (CRM) program. AutoPoint is an industry leader in automotive-related marketing, customer retention and service solutions. As part of the partnership, AAMCO’s franchise owners will have the ability to send a suite of data-driven communications to their customers through the current point-of-sale (POS) system over the lifetime of the customer’s vehicle. The platform will also offer a robust dashboard with reporting and insights on key customer metrics, response rates and overall marketing campaign performance. Furthermore, in collaboration with AutoPoint, AAMCO has developed a mobile app called “My AAMCO Garage.” The mobile app will sync directly with the CRM platform to provide customers with information on their vehicle’s repair history, special offers and push notifications for reminders of future services at their local AAMCO location. “My AAMCO Garage” will also provide “real time” updates, via push notifications, on the status of their car’s service. AAMCO is the first aftermarket auto repair chain to offer this technology to their customers. 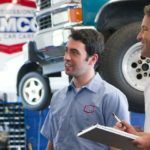 AAMCO franchise owners who decide to opt-in to AutoPoint services, will also be able to leverage the AutoPoint call center, which follows up with customers within 24 hours of their visit to their local AAMCO center. Ready to bring the iconic transmission franchise to your community?